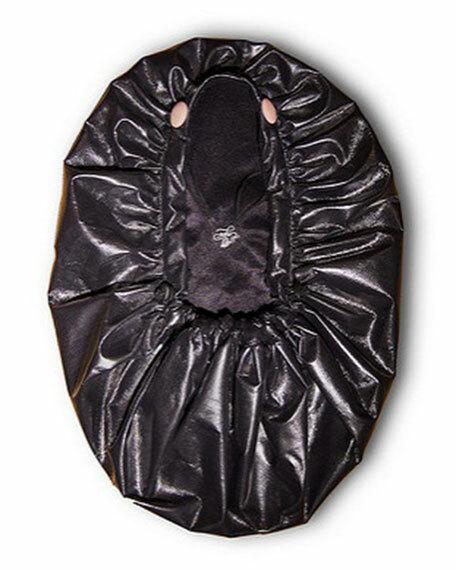 This patent-pending adjustable hair cap by All Caps features a reversible dual-fabric design ideal for showering, sleeping, spa treatments, spray tans, hair masking, and thanks to its custom-designed shape and extra length, it accommodates all hair types and styles. Its interior design is a silky, low-friction fabric that helps prevent breakage, reduces static, and protects hair from creasing or falling flat, and it can absorb up to eight times its weight in two seconds with its AKAbSorb microfiber terry band. For in-store inquiries, use sku #2296208.